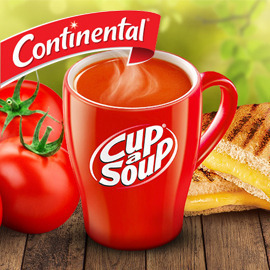 Create a pack for Cup a Soup that clearly stands out and surprises! Cup a Soup is a great choice for a tasty snack. It often improves the office lunch when it accompanies a sandwich or a late afternoon snack. They not only have an incredibly diverse and delicious range of soups, but they actually make them with natural, real ingredients. So we need your help to reinvent the packaging of Cup a Soup to capture the attention of consumers and whet their appetite! Use your creative talent to create craving for Cup a Soup! Blow us away with ideas for Cup a Soup that will surprise people and stimulate their appetite for it. Send us your bright ideas till August 11, 2014 23:59. Good luck!